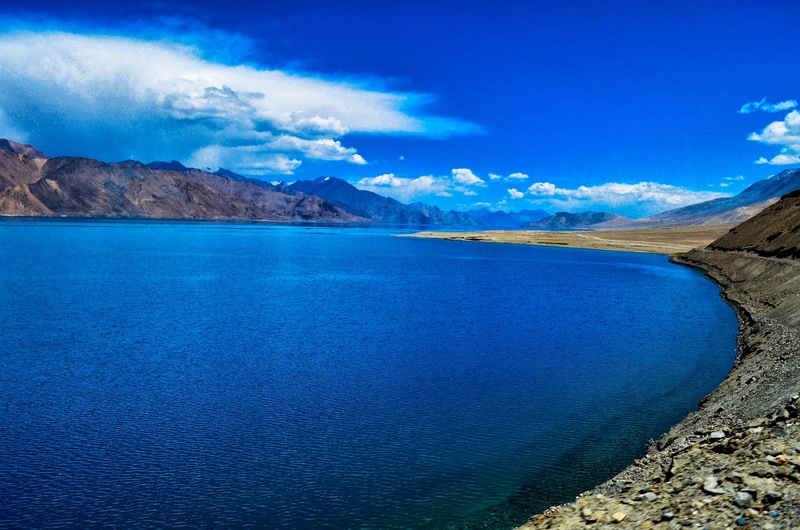 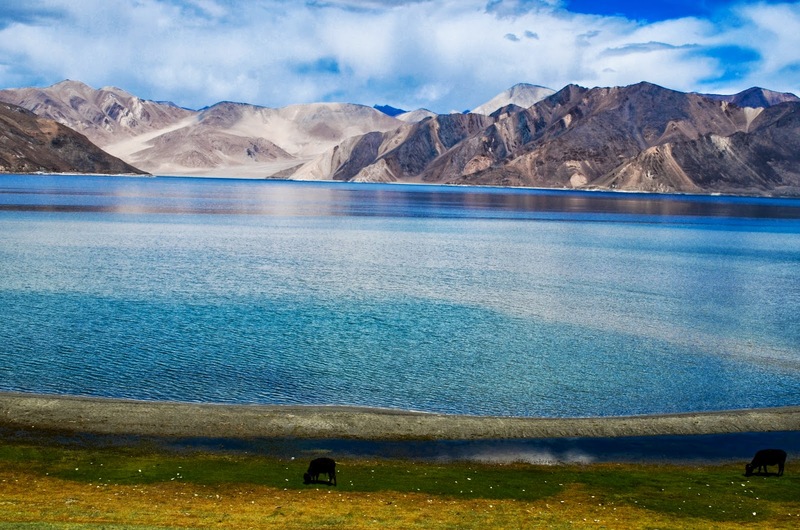 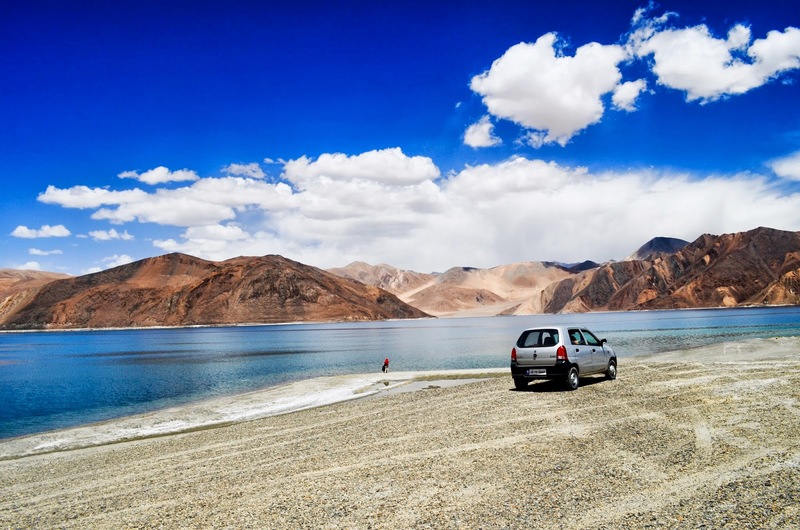 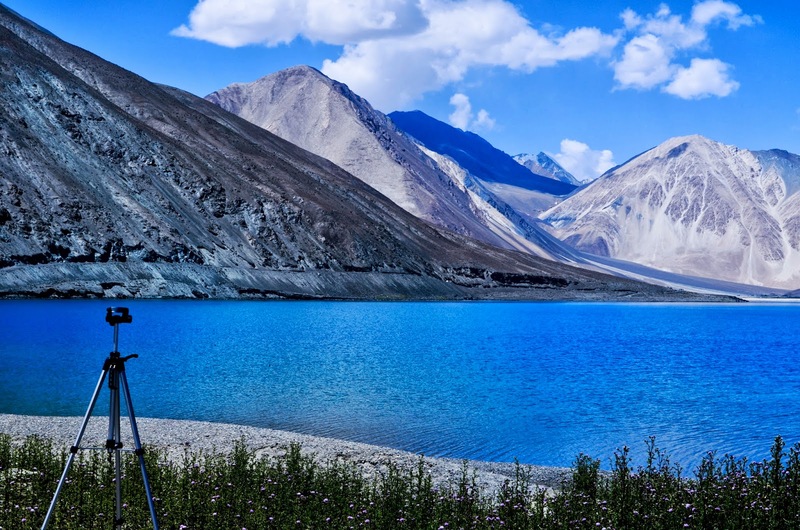 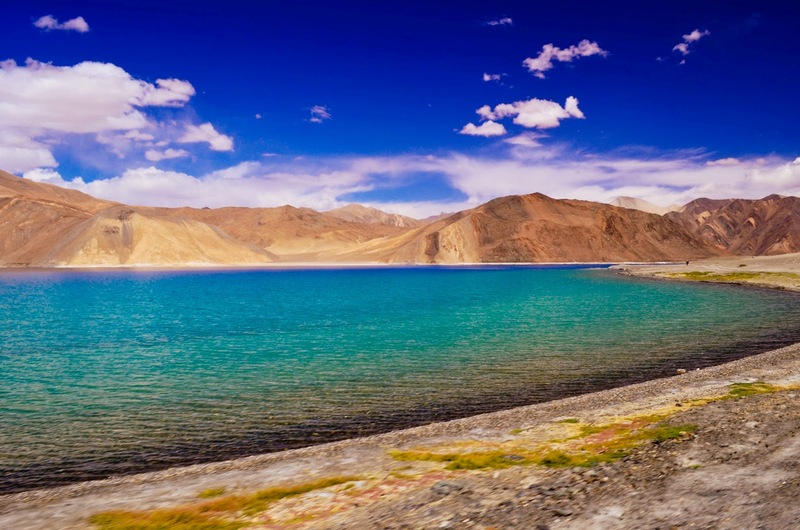 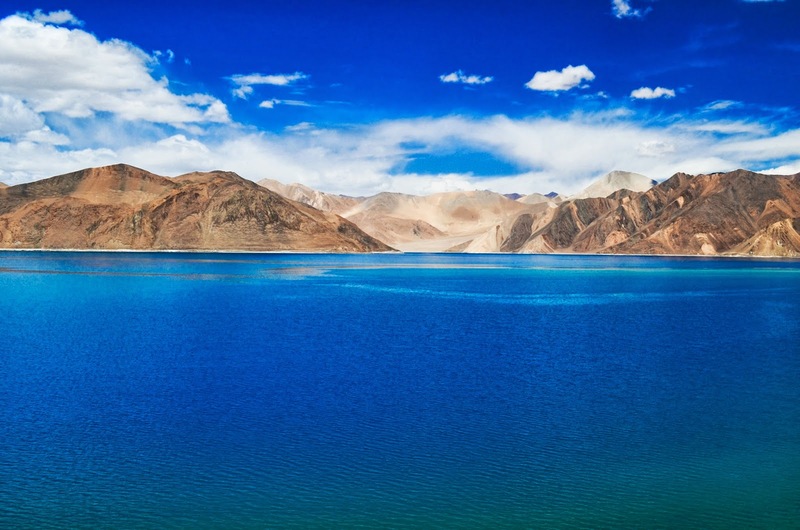 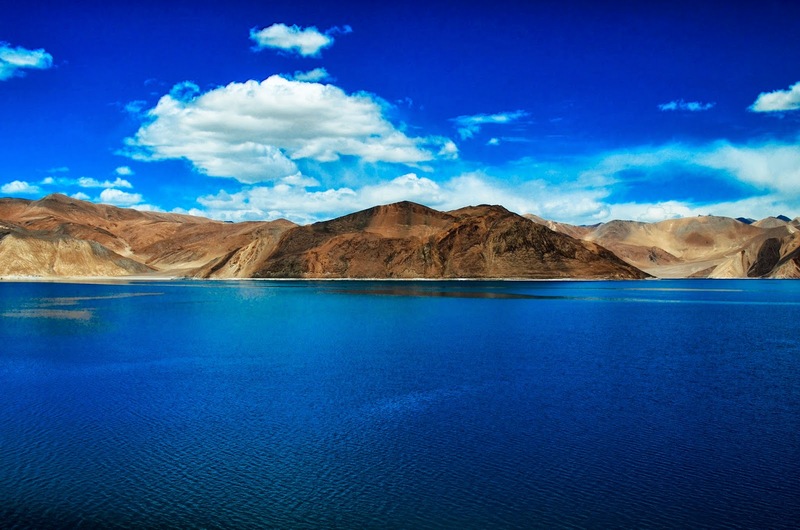 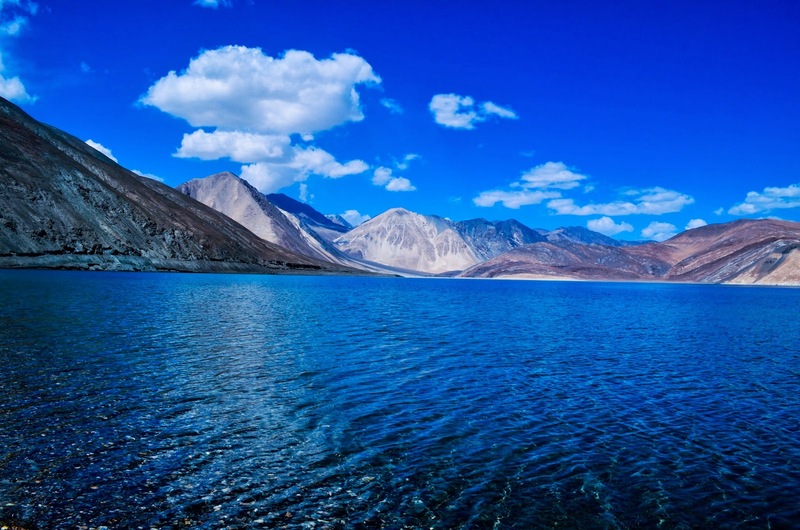 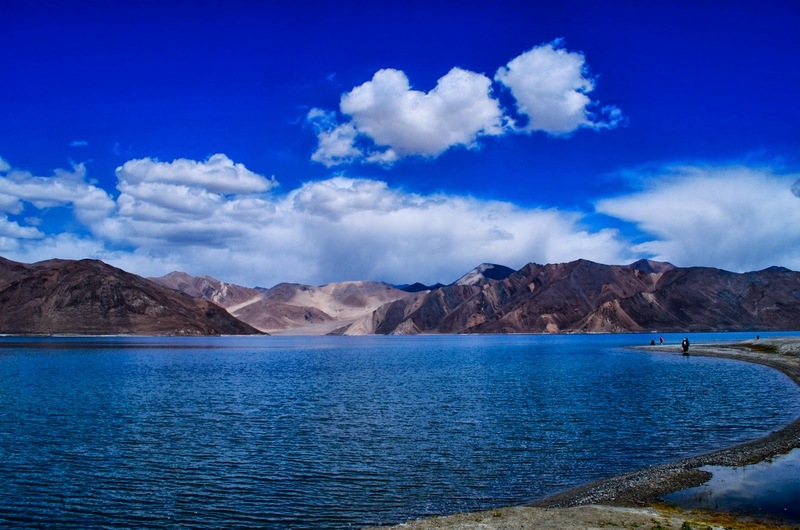 Pangong Lake, is an endorheic lake in the Himalayas situated at a height of about 14,270 ft. 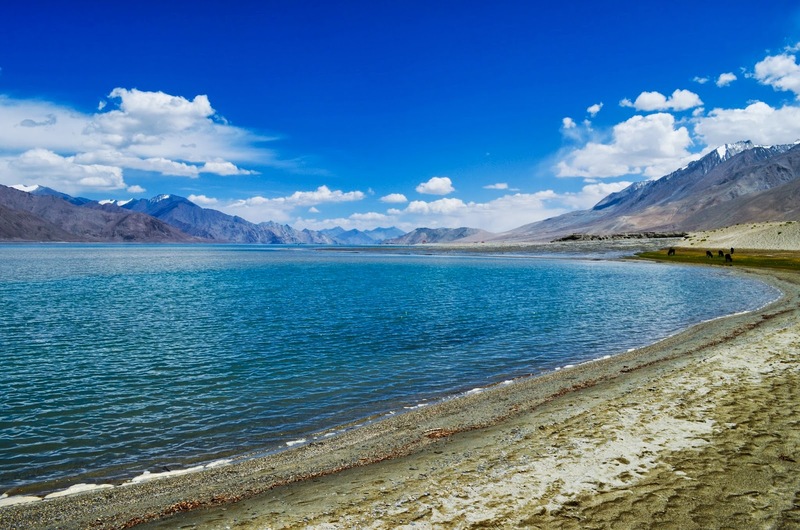 It is 134 km long and nested between India(45 KM) and China (90 KM). 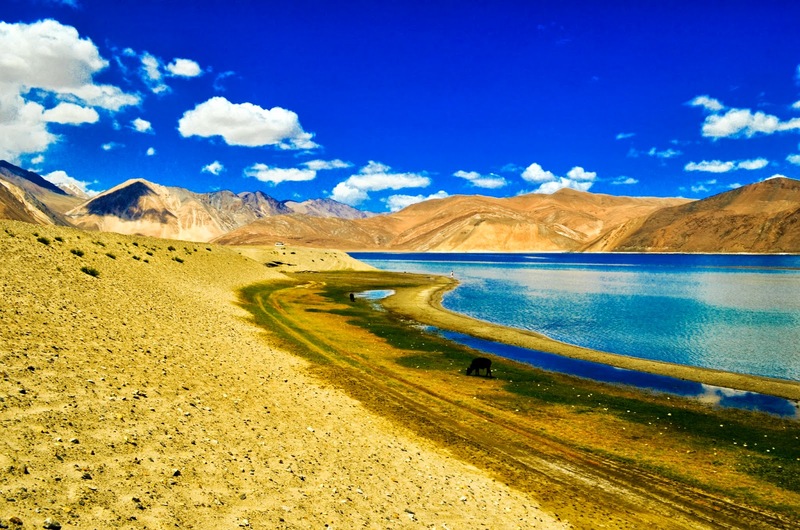 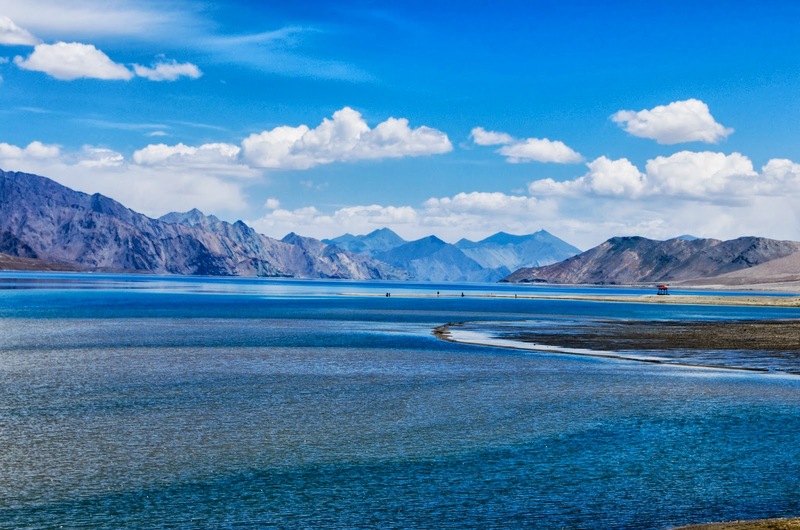 Pangong Tso, Tibetan for "long, narrow, enchanted lake", also referred to as Pangong Lake, is an endorheic lake in the Himalayas situated at a height of about 4,350 m.
I hope you like the clicks. 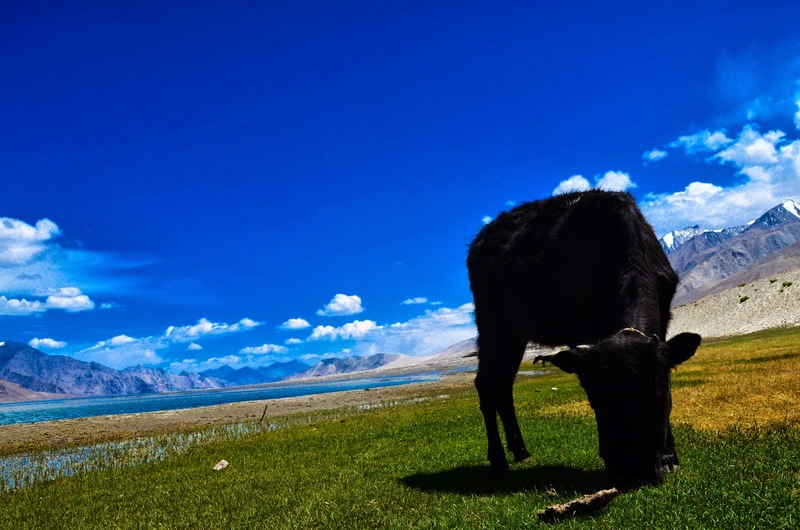 Photo Credits - Atishay's Photography.